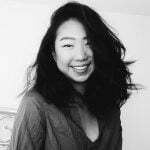 Wanting to explore Seoul but wondering where's affordable to stay? Check out these guesthouses in South Korea's capital city! Those of you who have gone to Korea would agree: there are so many different kinds of accommodation options available in Korea, from luxury hotels to affordable hostels and cosy guesthouses! 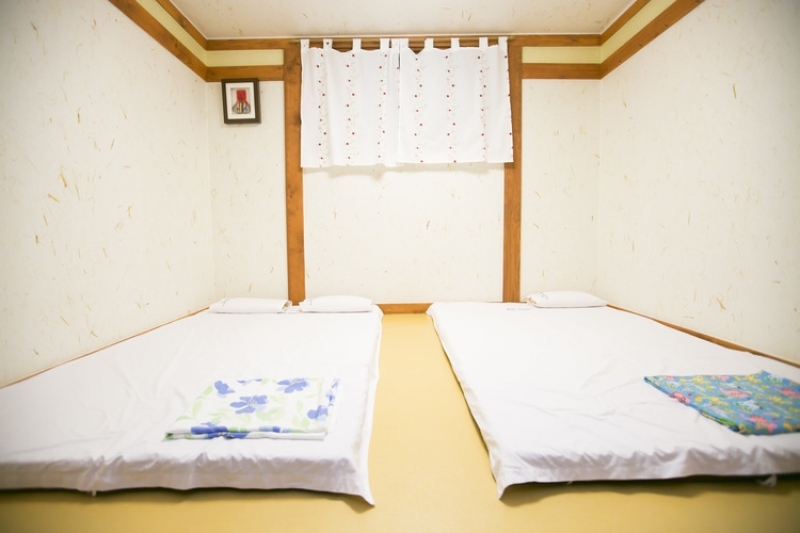 Of the wide selection of lodgings offered, Korean hostels and guesthouses are probably the most common option due to their affordability and excellent locations. But what differentiates a hostel from a guesthouse? How can you tell which is which? Well, the main difference between hostels and guesthouses is the ownership of the establishment. 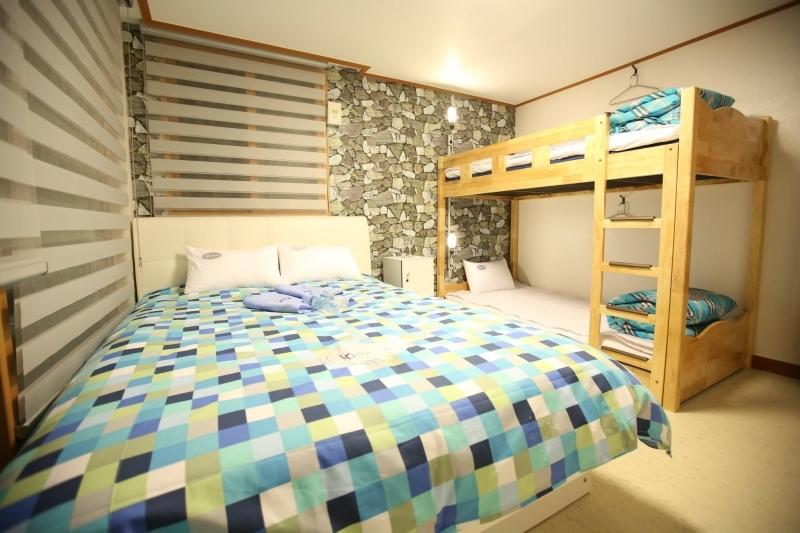 Korean hostels are similar to backpackers hostels, being budget accommodations with shared dormitory rooms, bathrooms and kitchen facilities. Korean hostel staff are also well versed in English as they have to deal with international customers on a daily basis. 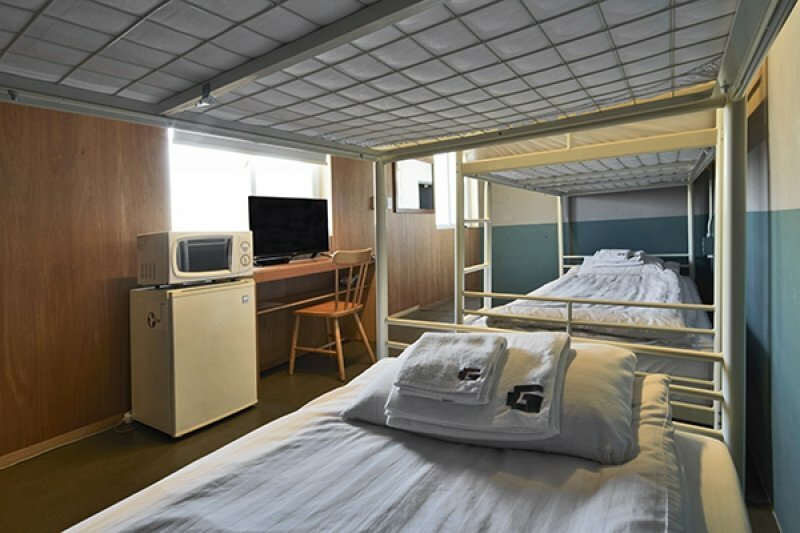 Furthermore, in order to provide convenience and accessibility, hostels are mainly located in popular tourist areas such as Seoul and Jeju Island. Korean guesthouses, on the other hand, are more like B&B establishments, although some do offer hostel-like arrangements of shared rooms. Guesthouses tend to be someone else's property, with a casual setup that provides a homely atmosphere. Additionally, the costs of the guesthouse are usually around the same price as a cheap hotel. Given the novelty and the cultural knowledge that you can gain from the whole experience, staying in a Hanok is a must-do when visiting Seoul. 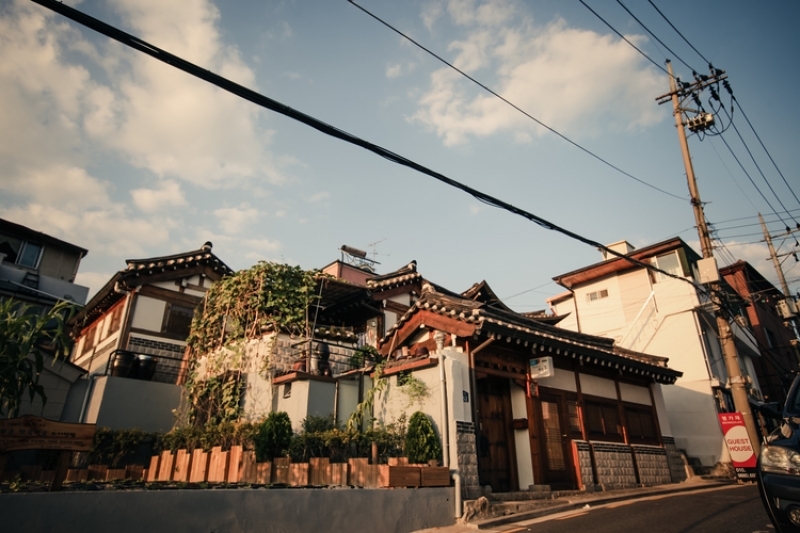 And the best Hanok to stay in is Bukchonmaru Hanok Guesthouse! Located in the heart of the Bukchon Hanok area, the historical residential district of high government officials and prestigious families during the late Choson dynasty, this guesthouse is family-run. Be prepared for the customary Ondol and Hanbok experience during your stay, along with a traditional Korean breakfast with dishes made from the host's very own family recipes. 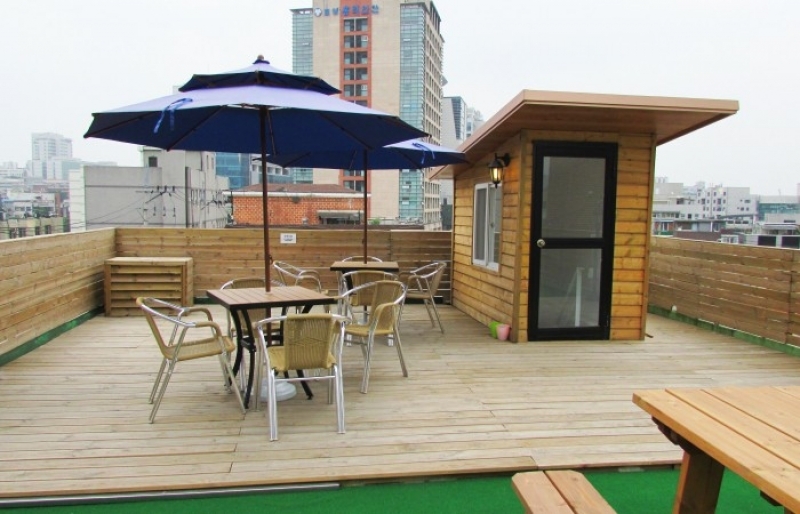 The guesthouse is also near several attractions, such as Chandeok-gung and Gyeongbuk-gung, as well as popular districts of Jongno, Gwanghwamun, Sinchon and Hongdae, making it the perfect launching pad to explore the city from. 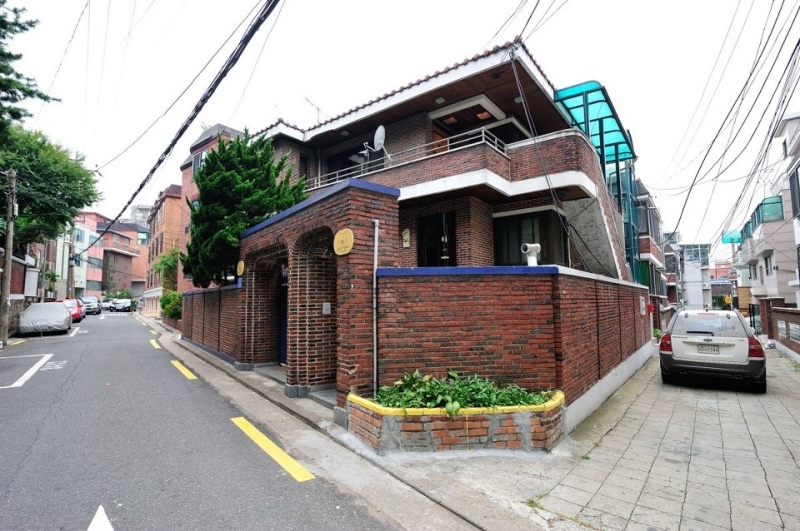 For the adventurous travellers, check out the G Itaewon Guesthouse. 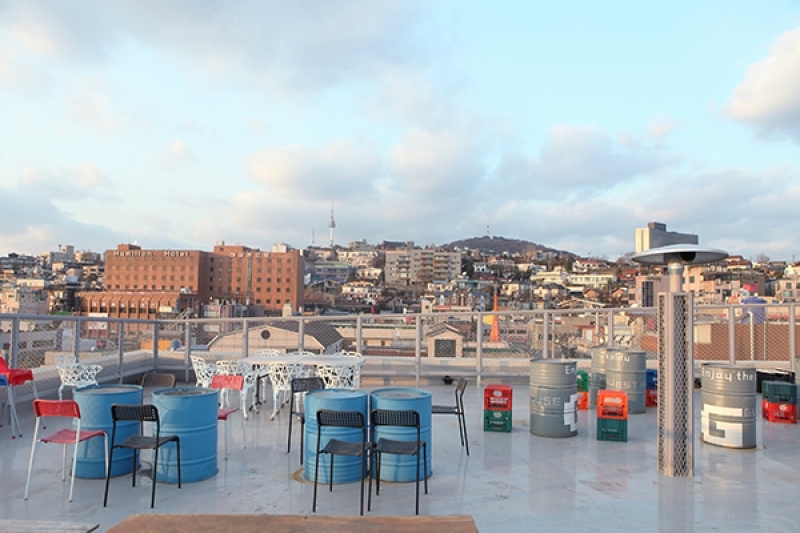 The rooftop of this guesthouse was used to film the commercial of the famous Korean Beer CASS! That's not all that is cool about the guesthouse, however – bike and camping kit rentals are available in-house for those looking for a spontaneous camping trip in one of Seoul's beautiful mountains. The guesthouse is also popular for its warm hospitality and friendly front desk. 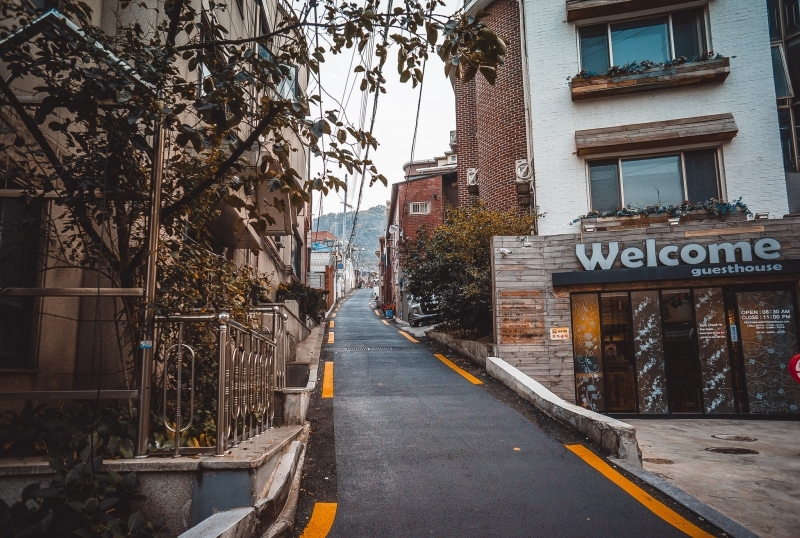 You can get to Itaewon subway station from the G Itaewon Guesthouse in less than five minutes, making this guesthouse a perfect lodging for those looking to explore Seoul. You can reach Dongdaemun, Namdaemun traditional market, Hongdae, Myeongdong and Gangnam in around 15-20 minutes by subway from Itaewon station. Aside from these popular districts, the war memorial and the national museum are also just 10-15 minutes away from the guesthouse. 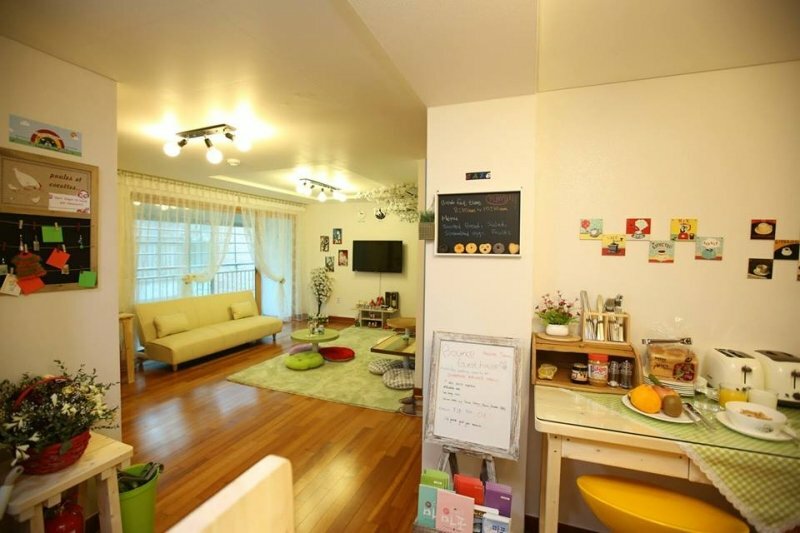 One of the top B&Bs in South Korea, Seoul Mansion is an 18-unit apartment style guesthouse. 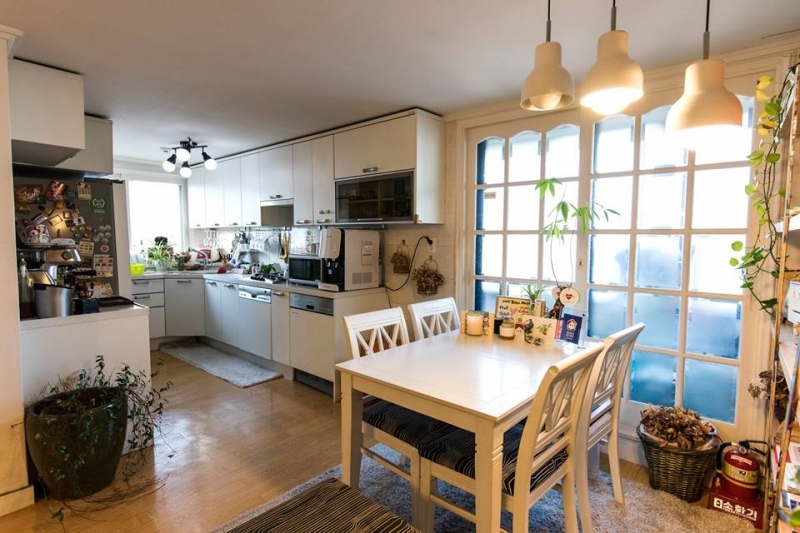 This guesthouse is located literally in the centre of the bustling Hongdae district, and just a tw0-minute walk away from Hongik University subway station. You can walk to nearby attractions such as Ewha Women's University Fashion Street, Myeongdong Shopping District and Gyeongbok-Gung. For those too lazy to head out in the middle of the day for food, the guesthouse offers room service! The awesomeness doesn't just stop there: the in-house menu includes popular local dishes such as Kyochon Chicken, Jjajangmyeon, Bossam and Jjimdak. Seoul Mansion also provides airport transfers and travel services, such as the Han River Cruise. This service includes a private van hire, offered in partnership with Funtastic Korea. You can even get discounted tours to famous theme parks such as Lotte World and Everland during selected times of the year. 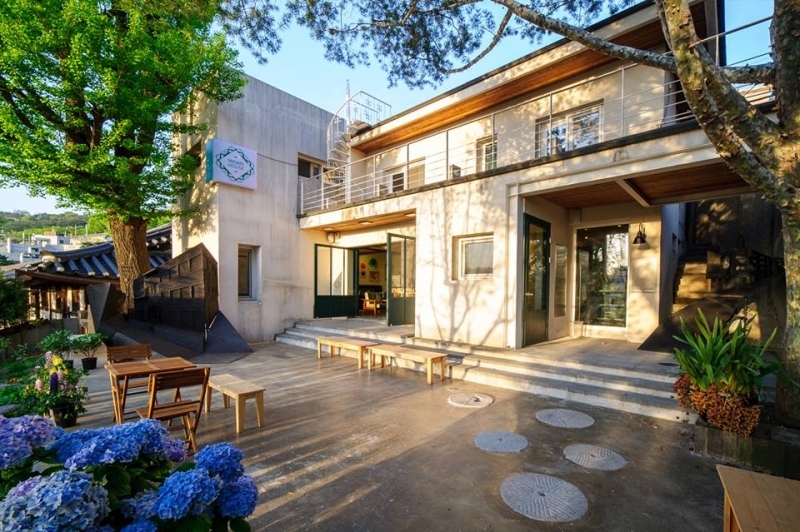 Built in 1966, Minari House is a small brickhouse with an old fireplace and a beautiful yard, located near Ihwa-dong, overlooking the grand Hanok of Korea’s first president, Syngman Rhee. This cosy space usually serves as a place of residence for young artists, though all guests are welcome! You can choose to have breakfast in the lovely gallery cafe on the ground floor, or in the spacious tiered garden. Minari House is also situated near the Daehakro area, far away from the tourist crowds, allowing you to have a more peaceful, suburban stay. You can take a walk along the Seoul city wall that was featured in the famous Korean TV series king2hearts and admire the amazing scenery. Minari House is also one of the starting points of the Ihwa Mural Village attraction, allowing you to start your admiration of the district's beautiful murals straight from your doorstep! With a rooftop lounge, library and cinema, Urbanwood is the personification of comfort! The guesthouse has three nature-inspired rooms, furnished with a tinge of modern and contemporary vibes. Urbanwood is also situated within the Indie arts scene of Hongdae, which is perfect for those who are looking to explore the art, fashion and cafes in the Hongdae district. If you are into Hongdae's numerous bars and clubs, Urbanwood is even more ideal, as you can stay out till late in the night without worrying about getting back to your lodging. Other nearby attractions include Yonsei University, Seoul Worldcup Stadium, Chungjeongno Nanta Theatre and Yeouido Park. Located right next to the cafe where the blockbuster Korean drama Coffee Prince was filmed, Oasis is in a prime location to explore Seoul! From the guesthouse, you can reach popular attractions such as the Deoksugung, Myeongdong and Dongdaemun within 30 minutes by subway. 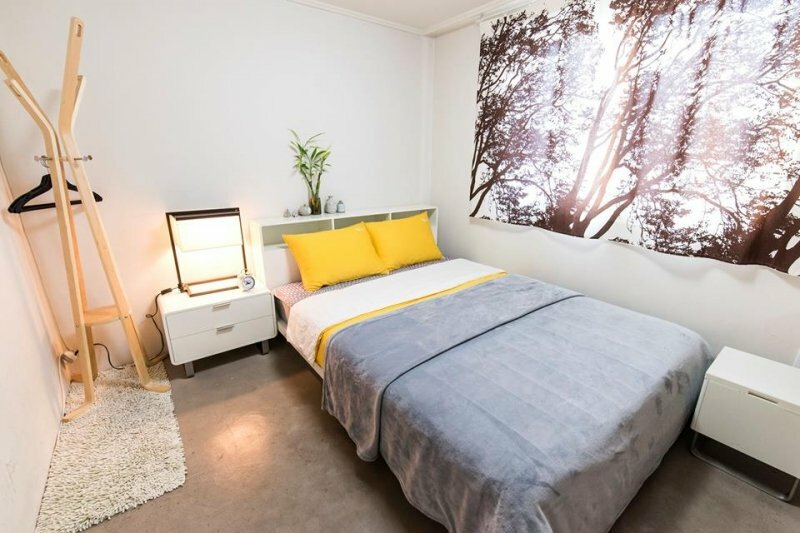 Oasis is also a splendid option if you’re looking to stay in Seoul for more than a week, as the guesthouse offers a 3% discount for guests staying over seven days! For those of you who are big fans of Korean fashion, check out the huge Stylenanda Hongdae located nearby! Besides browsing the makeup and vintage items on sale, you can also entertain yourself with the free photo booth located in the shop. 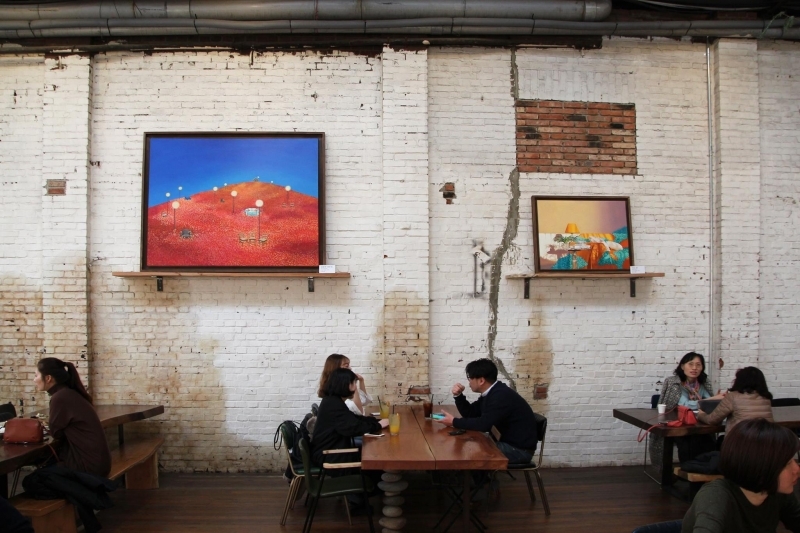 In the area, you can find the Alternative Space Loop, a non-profit art gallery that supports budding artists, and the Sanwoolim Theatre, the exclusive performance space for the award-winning Sanwoolim Theatre company. Oasis is also located near to the Greek Live House, one of the most popular live clubs in Hongdae! If you’re looking to experience the Korean independent band music scene and club culture, this is the place for you. As the top-ranked speciality lodging in Seoul, the award-winning Bounce Guesthouse is certainly a place to consider staying at when holidaying in Seoul. 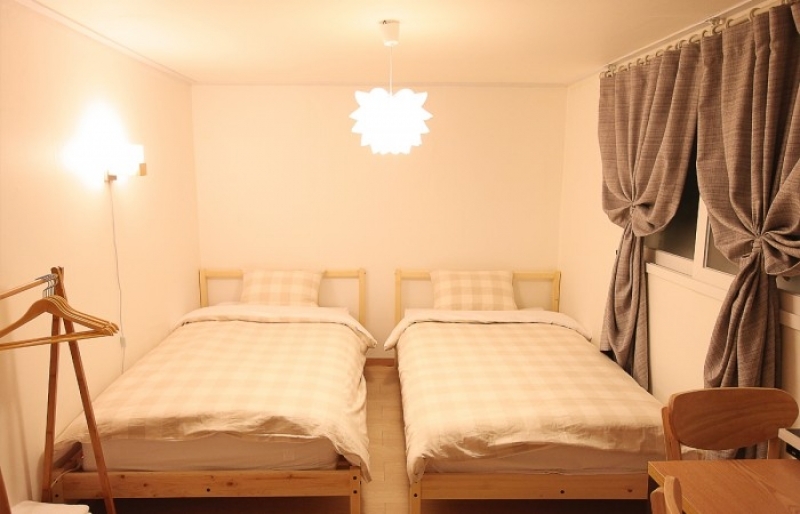 The guesthouse is just an eight-minute walk from Hongik University subway station and 15 minutes away from Gyeongbokgung, Sinchon, Ewha and Myeongdong Shopping Street by subway! If you can’t decide what to do during the day, Bounce also offers a range of daily tour options to choose from! You can visit the DMZ JSA tours, learn how to make kimchi at the Kim Chee School, watch baseball matches or pick strawberries during the strawberry farm tour. For a holistic exploration of the city, opt for the Korean Culture Tour. Facing Mt. 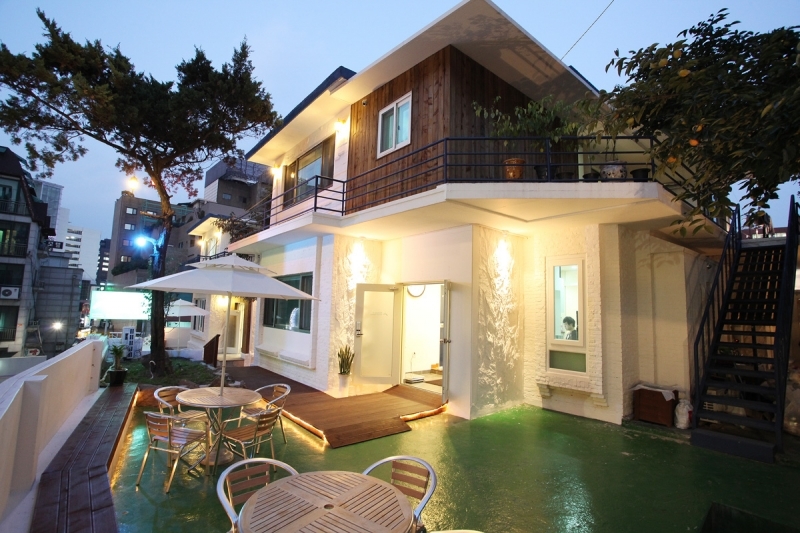 Namsan directly, Namsan Guesthouse 2 offers both gorgeous scenic views and an opportunity to hike up the mountain. The guesthouse also offers a 10% or 15% discount for guests staying for at least two or four weeks respectively! Furthermore, Namsan Guesthouse provides an airport pickup service from Incheon (60,000 KRW) and Gimpo Airport (30,000 KRW). The staff at Namsan Guesthouse 2 are multilingual – speaking English, Chinese, Japanese and Thai – so fret not about a language barrier. Besides hiking, you can visit the attractions nearby, including the Chojun Textile and Quilt Art Museum, and the Seoul Global Cultural Centre. The latter offers cultural experience programmes such as Hanbok fitting as well as the Hallyu experience programmes such as Korean food-making. You can also choose to hitch a ride on the Namsan cable car that runs from the base of Mt. Namsan up to Namsan Seoul Tower at its peak.